Divya is a current part-time MBA student at MIP Politecnico di Milano. The fashion world is changing as we move further into the 21st century. Right now, ‘uncertain’ is the industry’s buzzword for the state of play. According a report by McKinsey & Company—The State of Fashion 2019—2018 was the year that saw fashion executives think less about survival and more about their brand’s strategic agenda and business model. That those in the creative industries need to be business savvy is old news, and the knowledge accrued on an MBA program is just as important for those in fashion as it is for any other industry. Divya Singh knows this all too well. With a background in fashion design, she enrolled on the International Part-Time MBA at MIP Politecnico di Milano to gain a holistic understanding of the business side of fashion. Divya—who is a current MBA student—says that MIP appealed to her because of the variation of case studies on offer, which allow students to focus on the industry they’re most interested in. MBAs can also enhance their education by taking elective weeks in modules on the Executive MBA. It was the MBA competitions, though, that turned Divya into an entrepreneur, and put in her in the position to launch her own luxury startup. She recently completed two competitions. The Mark Challenge hosted by the University of Monaco, and Shaping a Sustainable Digital Future, patroned by The Prada Group. 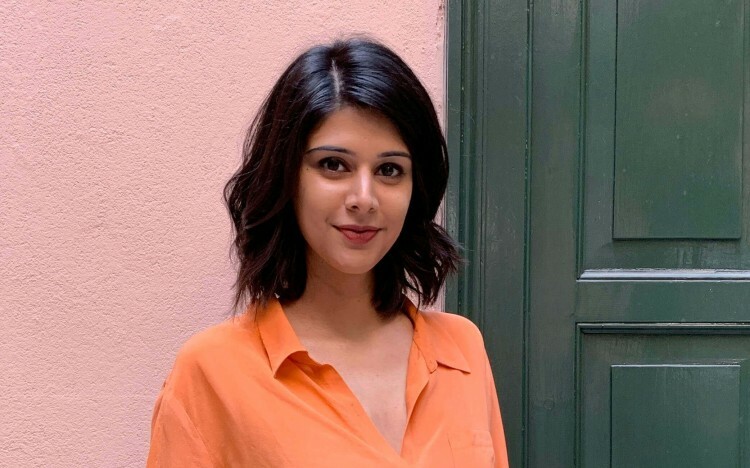 In Monaco, Divya and her teammate, Fabio Masoero Regis, developed a luxury service business plan, winning the competition with their startup idea UBIQUE: a digitized luxury concierge service. They didn’t stop there though. As finalists from Italy for the Prada Competition, the pair flew to New York late last year, adapting UBIQUE to the sustainability ideals the challenge championed. An intense two-day hackathon saw them team up with three non-MBA students from Yale University and present their idea to a board of Yale and MIP Politecnico di Milano professors, as well as executives from the Prada Group. Divya thinks that it’s these experiences which distil the learning of an MBA, preparing her best for the turbulent future of the fashion industry. She adds that managing team dynamics was integral to their group’s success, as they worked in a high-pressure environment with demanding time constraints. Divya says that she developed speedy decision making, patience when dealing with language barriers, and alternative ways of doing business with people from cultures different than her own. The competitions have proved so valuable to Divya’s professional development that she is now getting ready to launch UBIQUE as a real-life startup. That entrepreneurial mindset is an important part of the MBA at MIP Politecnico di Milano. The startup mentality is something the school helps to cultivate throughout the curriculum with the dedicated PoliHub incubator—ranked second in Europe and third in the world by UBI Global—which offers support and services to budding entrepreneurs. It is, in part, because of these competitions that Divya believes MBAs are such important tools for creatives. Whilst many complete an MBA for the rapid career progression and salary increase after graduating, Divya thinks creatives can tend to view an MBA as more of a tool for self-development. It can help to position creative professionals well for disruptions in their respective industries, as they understand the nitty-gritty numbers as much as the creative process. Divya also believes that her creative background is enhancing the dialogue of her class, as she’s providing an alternative outlook to business problems that many of her peers (from more traditional MBA backgrounds) are not familiar with but are equally excited about and benefiting from.